A – Leap across the office, shake his hand and offer to take him for a pint? B – Immediately start recalling the sleepless nights which you experienced when your own first-born landed several years ago? C – Head to the quiet of your desk space, fire up the search engine on your PC and panic-investigate paternity leave? Perhaps none of the above. Research out this week says that fewer men are choosing to take statutory paternity leave, and this has led to calls for employers to normalise the idea of male staff feeling very much entitled to take this period out with their new family. Previous analysis has often cited the fact that many men in the workplace feel they’ll be viewed poorly for seeking to take the available two week period (which all employees with a full employment contract are entitled to if they’ve been working for that company for a certain minimum number of weeks). This latest finding suggests men in the so-called ‘gig economy’ are more likely to ignore the opportunity for leave, and that there are an increasing number of males working in a ‘self employed’ capacity, so therefore not eligible for statutory paternity rights. Despite the decrease of uptake over the last year, however, our advice to employers is that it’s always crucial to ensure that your communication around the entitlement is clear. It’s imperative you create a culture where men – and indeed, women – feel very much able to request the level of leave they are legally due. A great amount of statistical evidence points to the fact that these periods of leave (and indeed, all ‘leave’ opportunity) exists to enable staff to rest, refresh, and to be even more productive and mentally and physically well when they are in work. It’s also worth bearing in mind that more and more partners now ‘share’ the roles within the home, and that this straddles the world of parenting. With that in mind, we see increasing numbers of cases where employers ask us to help navigate individual circumstances where an employee wants to ‘share’ parental leave with their partner. However much of a frustration to you and your business it may initially seem when an employee announces the pending arrival of a new baby, do always treat it as an opportunity to remind yourself of life’s many and varied events, and that that member of staff is all the more likely to remain loyal and committed to you if you support and celebrate their exciting news. 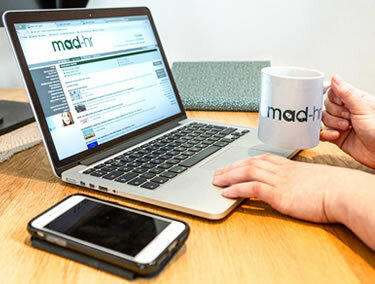 If you’ve recently been faced with navigating a maternity or paternity issue for staff, or just want to understand in advance what the statutory obligations are, please contact our team today by emailing hello@mad-hr.co.uk or calling us direct on 01473 360160.